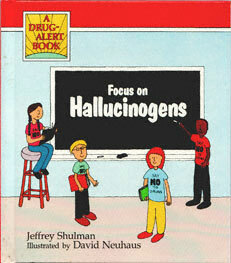 The first book series of its kind for young readers, The Drug Alert Series provides a clear and comprehensive drug education program. These books will give young readers the information and support that they need to make one of the most important decisions of their lives: the decision to say "No" to drugs. Series editor Dr. David Friedman is Associate Professor of Physiology and Pharmacology and Assistant Dean of Research Development at the Bowman Gray School of Medicine, Wake Forest University.